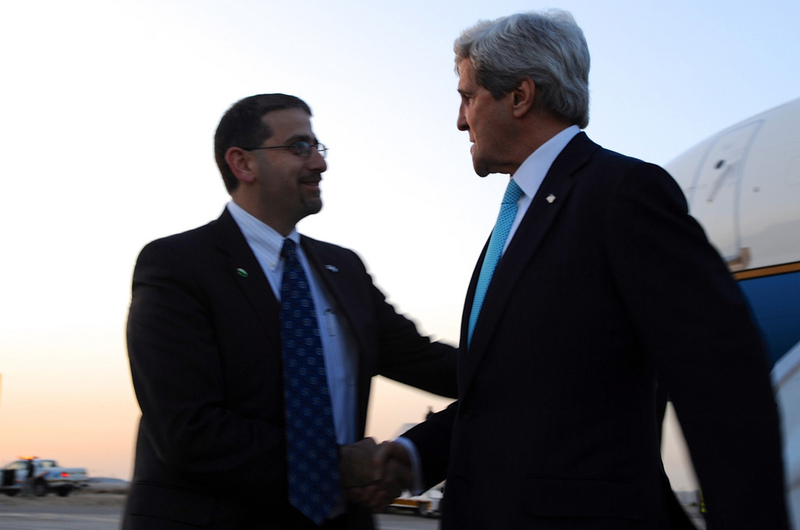 John Kerry meets US Ambassador to Israel Dan Shapiro in Tel Aviv, March 31, 2014. Obama Administration into. That word is “frier.” Not as in a vat of oil to make chips, but as in what would be most closely translated as “sucker,” a person who is easily scammed, who buys the Brooklyn Bridge with their life savings. The deal which, according to the New York Times, US Secretary of State John Kerry is trying to sell today to the Palestinians exemplifies everything that is wrong with the American-brokered Oslo process. The deal itself was hammered out only between Kerry and Israeli Prime Minister Benjamin Netanyahu. It reflects the absence of the Palestinians in the discussions, because it offers them nothing but the opportunity to capitulate again to American and Israeli power. Under the terms of the deal, the United States would release Jonathan Pollard, the Jewish American who was sentenced to life in prison in 1987 for spying for Israel. Pollard has been a cause celebre for the right wings of both the American-Jewish and Israeli communities for years, but no president has ever seriously considered releasing him before. Israel would, essentially, concede nothing in exchange. 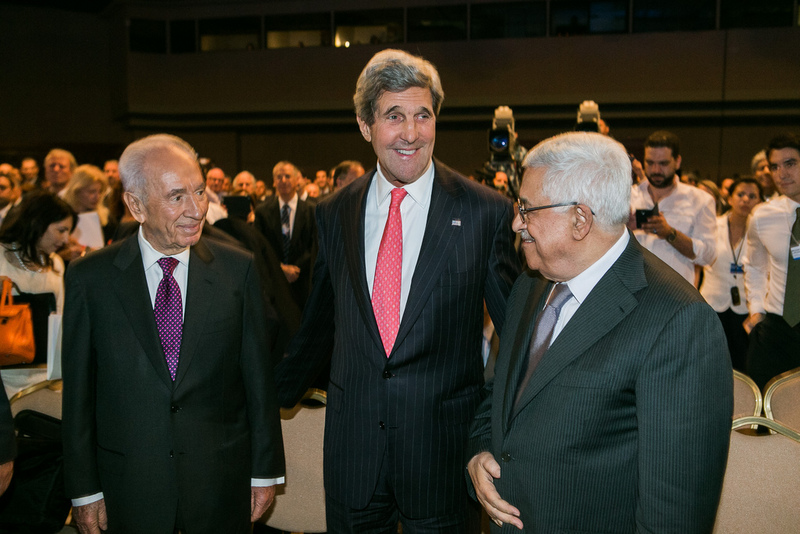 John Kerry’s charade in Israel and Palestine is growing exceedingly tiresome. As I explain in Lobelog today, Israelis are laughing at him, other US diplomats are sneering and Palestinians, as usual, are just frustrated. My latest for LobeLog examines the machinations by Israel, the US and the UK around the PLO bid for upgraded status at the UN General Assembly, particularly the ridiculous conditions that they tried to get Mahmoud Abbas to accept. For my International Law class (for those who don’t know, I’m working on my Master’s Degree at University of Maryland’s School of Public Policy), I was asked to write a UN resolution and a strategy for getting it adopted. I thought folks here might be interested in seeing what i came up with, as sort of a thought experiment. Keep in mind, the idea here was to be realistic and come up with a resolution that made sense to present. I am in the role of an adviser to Mahmoud Abbas, and the time was supposed to be mid-2011, so I could focus on the real possibility, at the time, of going to the UN that coming September. The scope is narrow, so I’m not trying to get him to rethink his entire approach to the occupation. 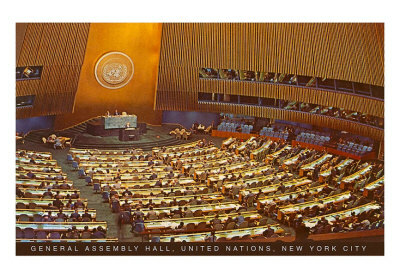 So, of course, I’m recommending a General Assembly, rather than a Security Council approach. This week’s piece for Babylon Times, hosted by Souciant, looks at the aftermath of the showdown at the UN over Palestinian statehood and the decisions facing the Palestinian people as a result. Inter Press Service has published my review of Jeremy Ben-Ami’s new book, A New Voice for Israel. Please check it out.